With demonstration gardens, special events, plant sales and free public workshops, these trained volunteers are gurus you can use. I’M WILLING TO BET that many of you have visited a Master Gardener plant clinic for advice on an ailing plant. In my humble opinion, the Master Gardener program is a truly outstanding organization. Trained volunteers share their expertise to help the public care for gardens, using scientifically proven, environmentally sound methods. 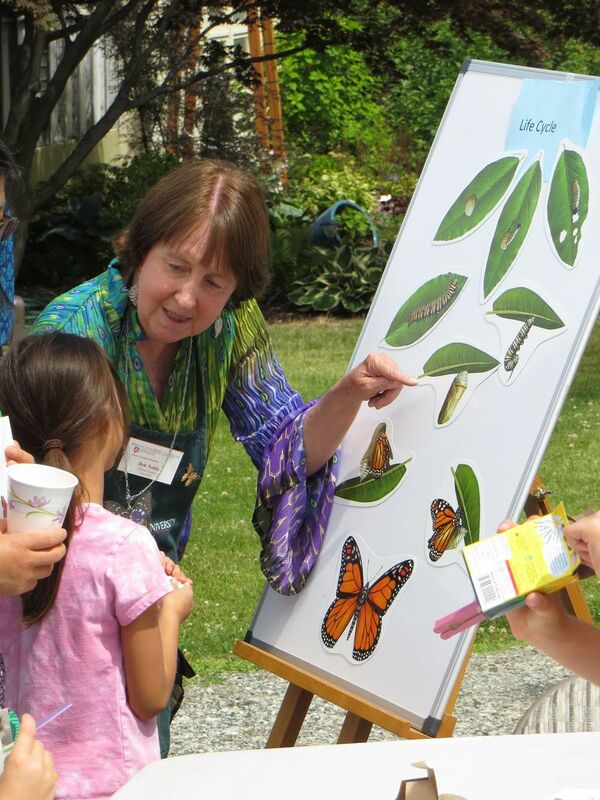 In 2016, Washington State Master Gardeners provided 4,524 diagnostic plant clinics and held 1,442 outreach events on sustainable gardening practices. The average Master Gardener provided 67 hours in volunteer service, all to help us garden more effectively and sustainably. There are Master Gardener programs in all 50 states, in several Canadian provinces and in a few other countries, but did you know that the entire Master Gardener program began here in Washington state in 1973? According to a history written by WSU faculty members David Gibby, William Scheer, Sharon Collman and George Pinyuh, the Master Gardener program was the brainchild of two Washington State University Extension horticultural faculty members assigned to King and Pierce counties. They found it impossible to keep up with overwhelming public demand for information about plant problems; thus, they developed the idea to offer individuals first-rate training in return for donated time helping others. Soon after the first class of 300 volunteers graduated, the program took off, and now the program is open to everyone with an interest in gardening and a willingness to use knowledge, experience and enthusiasm to make a positive impact on the local community. To become a Master Gardener, a volunteer must attend more than 100 hours in training from WSU professors and other gardening experts, pass an exam, and then give back more than 60 hours of volunteer service to his or her community. 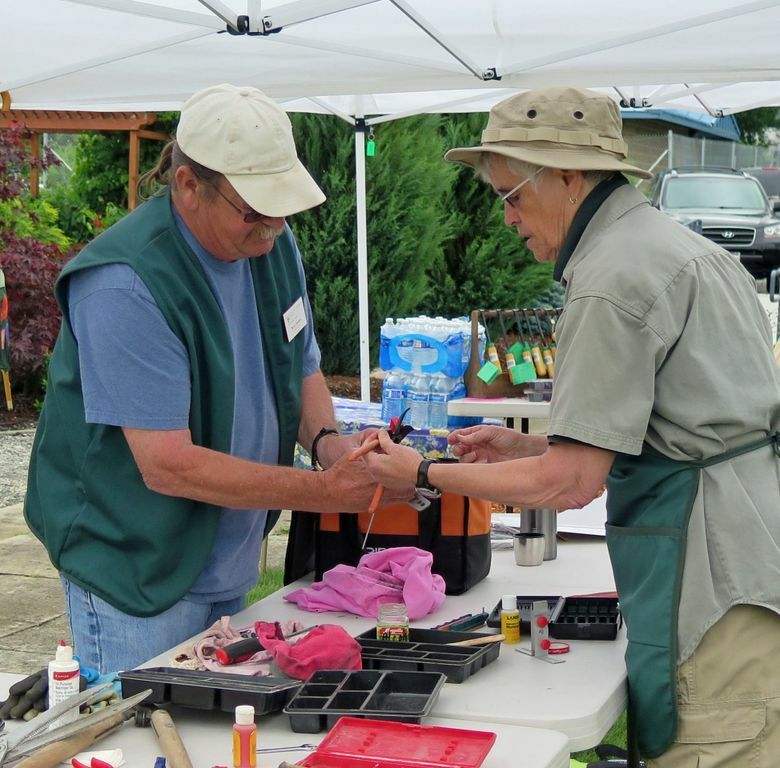 Veteran Master Gardeners perform 25 hours of volunteer service and must acquire a minimum of 10 hours of approved education each year to maintain certification. Most county programs have demonstration gardens, hold special events and plant sales, and offer free workshops for the public. At the King County Demonstration Garden in Bellevue, free public workshops are held from 10:30 a.m. to noon, on most Saturdays, January through October. Each workshop features a different topic, such as planning a vegetable garden, lawn care or pruning techniques. Each year, one county Master Gardener program hosts a statewide conference. Although you’ll see a lot of Master Gardeners there, the conferences are open to, and generally well-attended by, the public. This year, the conference will be hosted by the Chelan/Douglas County WSU Master Gardeners Sept. 26-29 at the Wenatchee Convention Center. The theme is “East Meets West, Sharing Our Roots,” and includes workshops featuring topics relating to gardening on both sides of the mountains. This year’s keynote speaker is Adam Schwerner, Disneyland Resort’s director of horticulture and resort enhancement, who will share his professional journey and his approach of blending the science of horticulture with art in one of the world’s largest amusement parks. Optional tours are offered at the conference, including visits to several types of ornamental and food gardens. Also on tour will be landscapes designed to minimize danger in areas prone to wildfires. Don’t miss the gourmet lunch amid spectacular gardens at a local winery. The fee for the full conference is $249, and single-day registration is also available. Go to sharingourroots.org for more information and to register. 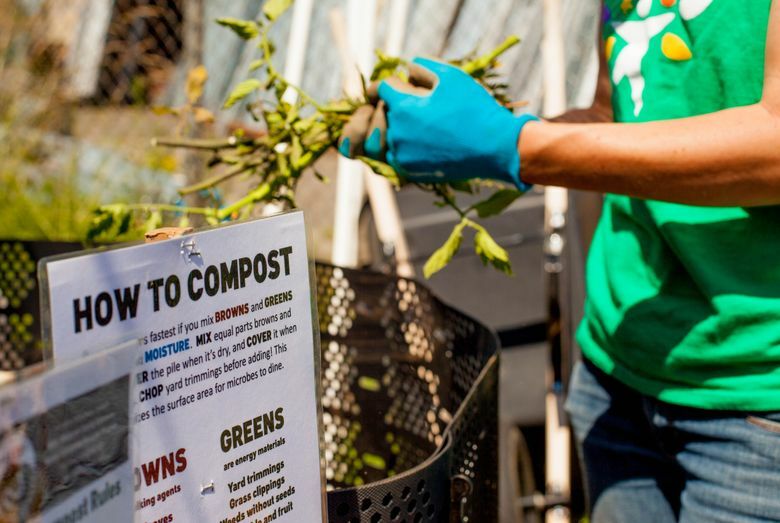 Having been a Master Gardener for more than 30 years, I’ve seen the positive effect this program has had in helping home gardeners and the environment. Best of all, you’ll never meet a more wonderful bunch of people. For information on becoming a Master Gardener, visit mastergardener.wsu.edu.